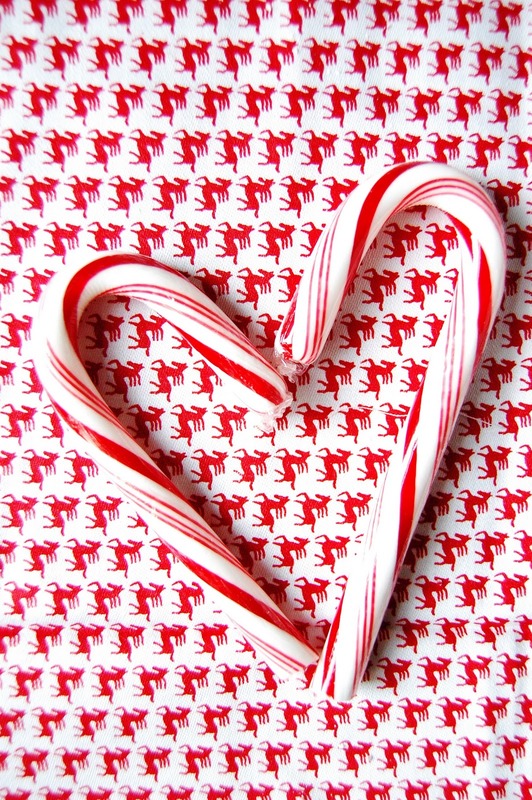 Come Christmastime, I am a peppermint fiend! I can't get enough of it, and as such am always looking for ways to incorporate it when I'm cooking. Last week it got pretty chilly, and I was craving some hot chocolate; not the kind from a can, but some real, homemade, rich hot chocolate. So I went to the pantry and consulted my ever-growing collection of vintage cookbooks until I landed on a recipe that seemed like a winner. It comes from the 1934 edition of the Good Housekeeping Cookbook, which I thrifted some months back. 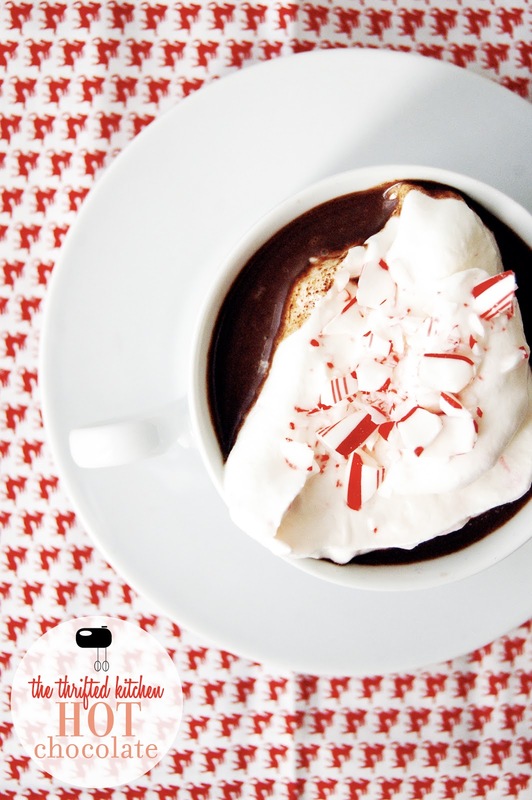 And what I love about this recipe (other than the fact that it it turned out to be some of the best hot chocolate I've ever had), is it gives you a follow-up recipe for using any that is leftover. The only addition I made was some crushed peppermint mixed in with the whipped cream (and then some more on top for a pretty finish). It'd also be cute to serve with some short fat peppermint sticks during the holidays. Place the chocolate and water in a double boiler over direct heat and cook while stirring until the chocolate is melted and the mixture smooth. Next add the salt and sugar and boil 4 minutes, stirring constantly. Place over hot water, add milk gradually while stirring constantly and heat. Beat with an egg beater until light and frothy, then serve. Prepare hot chocolate. Coll and pour into glasses that have been filled with cracked ice. Stir well, then top each glass with 1 tablespoon whipped cream.